"Ask yourself: Have you been kind today? and you'll be right every time." One of the things we can do to immediately improve our quality of life is to greet everyone we meet with kindness, every chance we get. While leaving a restaurant after dinner one recent evening, I opened the first set of doors in the air lock provided to help ensure the cold night air didn’t rush into the restaurant all at once. As I walked through the interior doors, I was surprised to see a small toddler dash past me in a great hurry, heading toward the outer set of doors. A group of people entering the restaurant opened the outer doors, and the boy dashed out into the dark, heading toward the parking lot. Those people looked at me with eyes that seemed to assume the boy was with me, as he spend past them into the dark. “Wait! Stop! Come back!” I called out to the toddler, while looking all around to see if anyone nearby might be with him. Leaving the sidewalk and entering the parking lot, the young boy hesitated for a moment as he saw a car with headlights on slowly driving by. He called out to it in a high-pitched wail, “DA! DA!” standing with arms outstretched, before running into the parking lot, toward the car. My mind raced as I wondered for a moment whether the people in the car might be with this young child—and then instantly decided that even if they were his family, he was too small to safely be running out into a dark parking lot at night. Acting quickly, I sprinted to the boy, grabbed him and lifted him into my arms. He continued to wave and look at the occupants of the car, seeming completely bewildered, as if they were not who he was expecting to see. The toddler and I both watched the occupants of that car continue slowly driving through the parking lot, heading for the exit back onto the road. Emerging from the restaurant just then was a dark-haired man in his late 20s, whose eyes indicated a jumble of emotions including alarm, surprise, concern, and relief. He said, “Thank you!” to me, as he took the young toddler from my arms, saying something in a language other than English to the boy, who responded to him in their shared language, and began to cry. I picked up the toddler’s right shoe, which had fallen off his foot in all the excitement, and brought it back. I mulled over how quickly events had unfolded, and how very differently things might have turned out if I hadn’t sprung into action instantly and been so quick to respond. I shared a smile with the man who seemed to be family to the toddler, sliding it gently back onto the toddler’s stockinged foot—giving his foot a tender squeeze of love and good wishes, that he will stay safe during his dashing-away toddler days. Standing on the sidewalk just outside the restaurant, I felt a heartfelt connection to this man and boy. I was amazed that my small act of kindness could open my heart so fully in a moment that feels like Heaven to me still. I invite you as you read through the reality shift experiences in this month’s issue of RealityShifters to consider how you might experience a sense of heaven by sharing kindness with those around you every chance you get. It’s fun to find out how good it can get when you bring kindness everywhere! We have a human need to look for evidence when we see something anomalous like a reality shift or Mandela Effect. Those seeking evidence of Mandela Effects, also known as reality shifts, find reassurance in others who remember the same alternate histories–that indicate that we are most likely living in not one, but rather many, worlds. But are there other ways we might be able to see some kind of verification that reality shifts are real? In addition to finding support from others whose memories of facts and events are similar to ours, we can also find further supporting evidence that reality shifts are real in flip-flopping reality shifts / Mandela Effects. Flip-flopping reality shifts provide one with the opportunity to see something change back and forth from one state to another, each time seeming as if it’s always been that way. Noticing such shifts can be especially helpful for providing someone who is unsure whether their mind is playing tricks on them, or a reality shift / Mandela Effect has actually occurred. If we’re surrounded by parallel universes, as some physicists say we might be, is there any way we might be able to observe their presence in our daily lives? One of the things that intrigues me about reality shifts and Mandela Effects is that: some people remember alternate histories; some people only remember the official history; and some people remember both the official history and alternate histories. While the official history can be fact-checked, alternate histories typically can’t be so readily confirmed, unless other people who also recall those alternate histories share them with others in some way. When people remember both the official history and an alternate history, they get a strange sensation sometimes of acknowledging the official history while remembering things differently. One of the more interesting aspects about so-called “Reality Residue” or “Timeline Bleeds” is that sometimes, we catch a glimpse of possible evidence of alternate histories. Do you know I host a radio show? 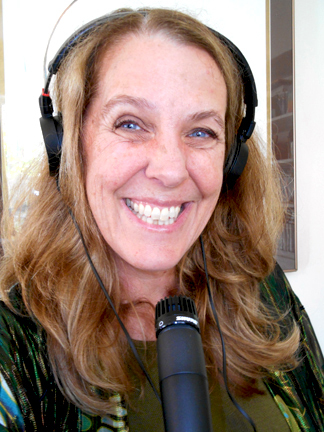 I’ve surprised several people recently with news that I host the Living the Quantum Dream radio show, based out of Boston, Massachusetts, and featured on the Dreamvisions7 Radio Network. I’ve now conducted sixteen one-hour interviews with some of the world’s leading authors and visionaries presenting overviews of their unique areas of expertise in the expanding field of quantum consciousness. I created this radio show because there’s much more to reality than we learned in school! We’re fortunate to be living at a time of changing paradigms, as we prepare to leave materialism and move toward quantum consciousness. 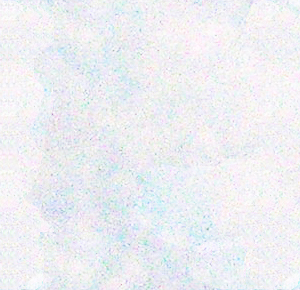 While materialists have long claimed that at some future point in time, we will be able to discover how the mind will be understood as being a product of ‘mindless matter.’ In actuality, the discovery of quantum physics in the early 20th century eliminated materialism as a possible foundation for objective truth–though acceptance of this discovery has been slow to be globally recognized and understood. 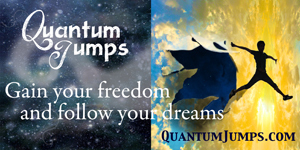 Living the Quantum Dream explores the logic of quantum physics in a down-to-Earth way that is of practical benefit for your daily life. 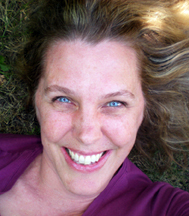 Learn how you can improve your life with such quantum phenomena as: entanglement, coherence, teleportation, and superposition of states with your host, Cynthia Sue Larson, best-selling author of “Quantum Jumps” and editor of the monthly www.RealityShifters ezine, in conversation with some of the world’s leading thinkers and visionaries. Discover how ancient wisdom shares much in common with new findings in the fields of philosophy, psychology, biology, medicine, and physics—and find out how you can change your life for the better today. My paper, "Evidence of Shared Aspects of Complexity Science and Quantum Phenomena" is published! 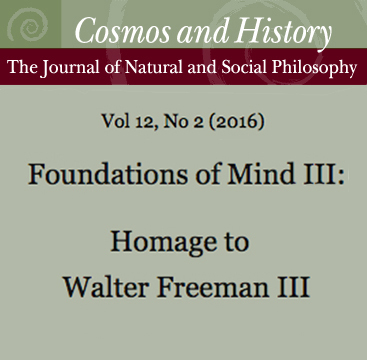 I'm proud to announce that my paper, "Evidence of Shared Aspects of Complexity Science and Quantum Phenomena" is published in Cosmos and History Volume 12, number 2 (2016) along with 21 other papers—including submissions by Fred Alan Wolf, Menas Kafatos, Shelli Joye, Judy Gardiner, Allan Combs, Bevery Rubik, Glenn Aparicio Parry, and Sean O’Nuallain. The abstract of my paper reads: Complexity science concepts of emergence, self-organization, and feedback suggest that descriptions of systems and events are subjective, incomplete, and impermanent—similar to what we observe in quantum phenomena. Complexity science evinces an increasingly compelling alternative to reductionism for describing physical phenomena, now that shared aspects of complexity science and quantum phenomena are being scientifically substantiated. Establishment of a clear connection between chaotic complexity and quantum entanglement in small quantum systems indicates the presence of common processes involved in thermalization in large and small-scale systems. Recent findings in the fields of quantum physics, quantum biology, and quantum cognition demonstrate evidence of the complexity science characteristics of sensitivity to initial conditions and emergence of self-organizing systems. Efficiencies in quantum superposition suggest a new paradigm in which our very notion of complexity depends on which information theory we choose to employ. My wife passed away on March 10 2015. I have been suffering from intense grief for quite some time. I am better now, but still think about her everyday. Could such strong emotions cause a reality shift? One such experience occurred about 1 1/2 months after her death. I had gone to my brother’s house to drop something off. He lives in a very long cul-de-sac with rows of houses on either side. I have been there many times. On this occasion, none of the houses were recognizable to me. I drove to the end of the long cul-de-sac, turned around & drove as slowly as possible looking for his house. I found it but it was not recognizable, it looked entirely different, and there was grass growing on his driveway where it should have been futura stone, and a hanging sign on his garage which simply said 'Matsumura.' I thought I was going crazy, so I decided to leave and exited the street, only to turn around and go back. I was upset and confused, but I knew I was fully lucid and not crazy. As I approached the street, the houses all began to look familiar, and my sister-in-law was rolling the garbage barrel onto the street. I tried to explain to her what happened, but she thought it was just stress. I know it wasn't stress, and I wasn't hallucinating. Was this a kind of reality shift? I don't know how to explain this. Note from Cynthia: My deepest condolences on the passing of your wife. The short answer to your question of whether strong emotions can facilitate reality shifts is an emphatic "Yes!" Our inner 'qi' or internal energy can be fired up by strong emotions, and qi (pronounced 'key') is indeed the key to witnessing real-time experiences of reality shifts where even very large things change instantly, sometimes right in front of us. Your specific experience of witnessing profound changes to a familiar, oft-visited location is quite similar to what many people have reported to me over the past 18 years, so there is precedence for such an unsettling and confusing thing as seeing a completely different house in an unrecognizable neighborhood--as if everything was completely different. Numerous similar accounts have been published in the RealityShifters monthly ezine and on the "your stories" pages at realityshifters. When the student is ready, the teacher will appear ;) I heard you in an interview on Youtube and am excited to communicate with you. I am not a scientist, thank the universe for spell check. But I have lived a life of discovery. The 6th of October, 2016 week, I noticed a huge shift in my reality timeline. I have recently moved and boxes are still unpacked. Not having been wanting to unpack, I forced myself to do so. The boxes had only been there for 1 month, but the dust and wear on the contents were YEARS old. One other time in the early 70's a similar experience happened. I was in middle school, coach surfing at the time and noticed a time laps. Years later I heard that there had been a three day reprogramming that happened, in our perception of time. I travel, craving change often, revisiting new and old places. So, I can see the changes in chunks—even in day to day communications. Learning to flow with it all. Just wanted to say hi and thank you for putting a face on these experiences. Note from Cynthia: Thank you so much for writing to me and for sharing your experiences with a huge shift in which your moving boxes somehow accumulated years of dust and wear in just one month's time! This must have been quite a surprise, since I take it there was no explanation for such a heavy deposit of dust. That time lapse you noticed in the 1970s while couch surfing sound interesting! First let me say, how pleasantly surprised I was to have found your website the other day; and how refreshing it is to know that there are others out there similar to me. My first experience with quantum jumping was in 1998 (I was 26 at the time). My late grandmother and I, were watching her favorite show, Entertainment Tonight. That evening they dedicated a fifteen minute segment about the passing of James Garner. They reported that he had died from a heart attack. My grandmother was in shock, because she loved to watch his television shows. Several years later, she and I were again watching TV. Only this time, an entertainment reporter was interviewing James Garner. My grandmother looked at me, puzzled and said, “I thought he died a few years back.” I replied back to her, “He did die of a heart attack a few years ago.” Later that evening, some family members came by and she was discussing James Garner with them. They had no recollection of him ever passing away, but she and I did. A few years ago, I became interested in Quantum Physics, during a physics class I had. The idea of multiple universe theory was extremely intriguing. It just seemed normal for me to subscribe to that theory and Quantum Physics. My physics class was only an elective, and I eventually graduated with a B. S. in Criminology. Though I have a strong connection to physics and astronomy. Today, I am working on my Masters. However, some very interesting things have been occurring to me in the last year; and I am certain it is in regards to quantum jumping. A few months ago, as I was laying in bed, in a very relaxed state, I said to myself, “I want to know more. I want to know more about things I do not know about.” Later that night I had a dream and a blue door appeared. As I walked through it in my dream, I immediately woke up standing in my hallway wide awake. Since then I am certain I have jumped numerous times, though I was unaware of what was occurring. Three weeks ago, I was in a grocery store pushing my cart through the produce aisle. Someone said hello to me, and as I turned my head to respond, my surroundings changed for about 30 seconds. There was no food in the produce section, the lights were out, and the building was in a debilitated state. I could see the sun shining through the roof, and birds were flying around the roof, inside the building. After looking around, I heard a brisk sound, and my surroundings (I hate to use this term) were back to normal. A few days ago, as I was driving home late one night, I was listening to Coast to Coast radio. The gentlemen he was interviewing was discussing about the Mandela affect. This was the first time I had ever heard anything about it. Then yesterday, at work, I searched Google again for quantum jumping, and your information was the first in the search results. Interestingly, some of the very same physicists that you state in your blog that believe it is scientifically possible to quantum jump, where debunking it when I searched a few weeks ago! I also found a lot of information about the Mandela effect; incidentally, when I search a few weeks ago, nothing regarding it was found. The James Garner event, was very profound for me. I will never forget it; yet it awakened me to a whole different realm of possibilities so many years ago. It sparked a desire for me to know more about what is not known, about what exists. For example, why I, and my grandmother, experienced something that others did not. It wasn't until years later, when I began studying quantum physics in an undergrad class that the experiences I encountered began to make sense Specifically the behavior of electrons when observed, compared to their behavior when being un-observed. That started an enlightenment process within me, I am so thankful for. I've always known that something was different with me. My awareness has always been keen. My experiences have always differed slightly from those around me. Particularly perception. 'Deja vu' for example. I define that meaning to be an event that occurred by ourselves in another reality—concurrently, or in the past. It is information that passes freely to our consciousness via electrons and pure energy. So many people dismiss it simply as 'deja vu' when in fact, it is an actual experience. Perhaps similar to how the Mandela Effect occurs only instantaneously for the individual. Looking back it seems as if I have experienced jumping very frequently, with relatively little periods of stability, for some reason. Numerous times I have arrived for a scheduled meeting only to be told that the meeting never was planned, or wasn't on the schedule; as well as having conversations with family members who would forget the conversation ever occurred. Those are only brief examples of the effects I experience. When researching quantum jumping a few weeks ago, you simply did not exist in the search results—yet today you are number one in those results. What I wish for, is a greater period of quantum stability. Again, I am very happy to have found your information and your website. The fact that you have your degree in physics from Berkley, in my opinion, gives you validity. I am glad to finally understand what I have been experiencing. Though it seems to occur rather frequently. I look forward to reading your books and learning more. For some reason, I believe I am right where I need to be and am thankful to have found your blog. Thanks so much. As I write in my book, Quantum Jumps, "What’s most amazing to me about the Quantum Age isn’t so much about the quantum computers as how radically our concept of rational thinking is about to change. The seemingly simple transition from bits to qubits takes us from our westernized binary view of True-False logic into a wild and woolly realm of True, True-and-False, Not-True-Not-False, and False. We’re entering a weird, wonderful world of possibilities in which we’ll discover that just because we think something is a certain way doesn’t mean it will stay that way, or that others will experience it that way. Our legal systems will be transformed, and historians, psychologists, sociologists, anthropologists and biologists will recognize alternate histories as being a natural part of existence. Medical professionals will learn to view spontaneous remission as a naturally occurring process, and will encourage people to adopt states of mind that facilitate quantum jumps in healing. Our views of unbiased observers and impartial judges will be forever changed as we appreciate how information can travel anywhere instantaneously, and how everyone and everything is interconnected. The Quantum Age invites us to radically transform our view of who we are and how we work, play, love, and heal in our everyday lives." I appreciate your sharing what you noticed when you observed significant changes to your surroundings at the grocery store, and sometimes in your dreams. I've also experienced reality seeming very much like a dream that we can awaken within, as I describe in my book, Reality Shifts: When Consciousness Changes the Physical World. Your stated intention that you want to know more definitely seems to be providing clarity and focus in your ability to begin doing exactly that. I'm grateful that you and I are now sharing the same realities! Once upon a time, I was in a relationship with someone. It was all fun and decent until things started to fall apart. Out of the blue, I found my partner taking a bit of distance from me. After a while he started making excuses for his bizarre behaviour saying that he did not feel too comfortable in our relationship. I mentioned the idea of taking a break just to show that I was strong enough to do it. Sadly, he jumped right at the opportunity and that's when I realised he was pushing me towards this decision all through the past few weeks. I went by the next few days feeling guilty and doubting my decision when I suddenly got news—from a trustworthy source—that this person that I trusted had been unfaithful to me several times throughout the course of our relationship. "Why had you not told me earlier?” I asked my friend. "It was not my place to meddle in your relationship,” she explained. What a coincidence, I thought to myself. Had I not suggested the idea of a break, I would have never known the truth about his unfaithfulness and I could have even ended up with this person. There is an Arabic saying "Wa 'asa an takraho shay'an wa howa khayron lakom" that basically means "You should not hate anything, for it can also be good for you.” I could not stop thinking about this. I was suddenly glad and thankful that things fell apart now rather than later on in my life, when I could have more involved with this person that obviously had different ethics when it came to a committed relationship. Since this event, I cannot help but to think that sometimes, things happen in a way that lead to other related events, that could be good for us and that can consequently lead us to living a happier life in the long run. I started to trust that my journey was laid out for me and that I just had to be the best person that I could be in my life and trust that life will arrange itself for me. Note from Cynthia: I love how you trusted your feelings when noticing that distance was developing in your relationship--rather than doubting yourself. Thanks to your expectation that a romantic relationship can be based on respect, kindness, and closeness, you were able to recognize warning signs when he became bizarrely distant from you. And thanks to your awareness that something was amiss, you could hear him telling you that he wasn't feeling comfortable in your relationship when you suggested taking a break. I love the Arabic saying that advocates not becoming hateful of anything, since it's such a perfect segue to inviting imagination to soar ever higher, as we remember to ask my favorite question, "How good can it get?" Such an open-ended invitation helps us see how we can often be amazed with just how much better things get than we could ever have envisioned! I love the rock story and the timing. I have had many experiences with crystals that went missing from my altar when no one but me had been in the house. I have always felt that crystals and stones have a life of their own, and they stays as long as they serve their purposes and then move on. Glad your heart was in the birthday mood too. Thank you so much for sharing your appreciation for my birthday heart rock experience! I agree with your observation that crystals and rocks have a life of their own, and sometimes move around—helping to keep us on our toes! Thanks so much for your appreciative email! I'm so glad to know you appreciate the reminders of some ways to increase our inalienable right to happiness in daily life! So great to read your blog, videos, etc. LOVE them. I have been living a metaphysical/spiritual life a long time, ha ha long time, so I was/am aware that we shift all the time all day every day. No shock there, as we are multi dimensional beings. I am also super excited that I have manifested/shifted to bigger differences, so that I can actually be aware of them past intuition, deja vu, or dreams, etc. The more I remember, the more I remember. I can remember so far more than two and often three or four timelines! What is shocking (and exciting too) to me though is all the mixed variety of people that remember different time lines lately. I mean, I never expected such a thing in MASS. Wow. They also remember more than two! How cool is that? I am not shocked so many have put a negative spin with negative religious or conspiracy themes on them because we all have different beliefs. I know that too is ok. So overall, I'm positive and excited. There are a couple that do rather 'bother' me. I'm not negative about them especially, just rather like one of my dogs tilting their head in bewilderment. I studied anatomy and physiology. NO WAY is this the skeleton and anatomy I physically had, studied, was tested on, and remembered. I actually miss the other one and continually tell myself that this one is just as 'real'. I keep wanting to focus on positive aspects of this one, yet it's more than a little alien. The other one that I'm a bit hung up on is geography. I don't really know why I get a bit out of phase with these particular two. All the 'smaller' ones, movies, spellings, logo's, don't get to me. Although today I found out that in this timeline Abraham Lincoln had a son that LIVED, got old, and Lincoln's legacy went to 1985! Wow! Totally new to me. So that's what I do. I remember what you say when you say "How good can it get"? and just flow on. :) I am listening to your book Quantum Jumping via kindle. I love that you are in my current reality. Thanks so much for doing what you do. Thanks so Thanks for your thoughtful comment! I’m grateful that there is growing awareness of public recollection of alternate histories. This is what I predicted would happen in my book, “Quantum Jumps,” in our new Quantum Age, and yet it’s still quite amazing to see it happening now. And as I’ve been posting since the 1990’s when I started the realityshifters.com website and wrote “Reality Shifts: When Consciousness Changes the Physical World,” the more we notice and pay attention to these things, the more we see them. I can appreciate how observing changes to anatomy and physiology and geography can seem particularly unsettling–since we tend to assume some things always stay the same. Similarly, many people are unsettled by changes to the Bible, when such passages mentioning the “lion shall lay down with the lamb” now mention a wolf and lamb instead. One of the biggest things we all need to be aware of is that there is no ‘primary reality,’ but rather we get attached to some realities, and presume them to be foundational. There does appear to be optimization occurring overall, such that our cosmological scientists see how our universe supports life seemingly against all odds, with fine-tuning constants set just so (quite likely by quantum processes). Our biologists see how plants photosynthesize with an efficiency that far outstrips anything human technologies have yet managed to attain, thanks to quantum processes. All living things mutate according to quantum processes–that’s how DNA changes occur, and how our bodies process enzymes with protein tunneling (another quantum process). Thanks for mentioning that Abraham Lincoln had a child who survived childhood–that’s wonderful, and quite amazing! -How could such a massive global news happening in 1992 involving Mandela have skipped you? how could the end of apartheid with those news pictures of Willem de Klerk (pres. of South Africa) holding Mandela's hand up in all newspapers and on television all over the world have skipped you? I also clearly remember it was the same year Rabin shook hands with Arafat, which is why I clearly remember the year 1992, because it was so memorable to happen in one year, just like everyone will remember the date 9/11. - How is it that some things I remember the way the history is now (and have been for a long time) and many people remember differently, and others that I also remember exactly as people pointing this effect out are remembering them: different from 'this reality')? It does my mind in. I wrote you because I'm really trying to change something that happened to me and I really need help. I saw many of your videos on youtube and the books you have written about quantum jumps, so I have some questions to ask to you, if you please can answer. I looked for time travel too and my first question is if quantum jumps can help to fix my past, like if I can fix a mistake that I did and do the right thing and forget about the wrong one. My second question is if I can do a quantum jump in the past and just relive from a certain point of my life to fix that mistake. Thanks for you attention. I'm wondering how come the Simpsons do not seem to be affected by the Mandela Effect? Is it Mandela Effect residue? Some people have noticed changes in Simpson's episodes, such as ‘The City of New York vs. Homer Simpson’ episode that some people recall showing a bridge between NYC's twin towers that no longer shows any such bridge. They remember an alternate history in which Homer Simpson ran across the bridge(s), urgently seeking a bathroom. The current version of this episode apparently only shows Homer running from the ground floor exit of one of the buildings to the other. There is also a connection between this Simpson's Mandela Effect and the Super Mario Brothers Film from 1993, which shows the towers with the two bridges--exactly where some people remember seeing them in the alternate history of that Simpsons episode! Quantum Holographic Criminology is an excellent book addressing the relatively new field of quantum criminology. Quantum Holographic Criminology tackles the longstanding problem that conventional criminology law and social justice is disconnected, disembodied, and ultimately disempowering--largely due to having been founded upon a classical materialist paradigm. Dr. Milovanovic sets the stage in Quantum Holographic Criminology for initiating a complete overhaul of the criminal justice system as we currently know it to bring criminology, law, and social justice in line with current scientific understanding of the universe as being based on quantum and holographic principles rather than materialism. Some previous introductory familiarity with quantum physics and holographic theory is helpful, though not required, in order to most fully appreciate and benefit from this scholarly book that dives directly into discussing key abstract concepts. Quantum Holographic Criminology provides readers with side-by-side presentations of classical materialist and quantum holographic concepts and ideas, followed by applications to criminology. Perspectives are thus compared with regard to viewpoints on: objects, space/fields, time, cause, information, language, and processors of information. An entire chapter is dedicated to exploring the matter of the question of agency, with its notion of "will" and self-perceived feelings of free will. Milovanovic presents a case for agency being conceptualized as neither transcendental nor non-transcendental, but rather somewhere in between, as he looks to quantum holographic theory to "build our own model that is a de-oedipalized quantum holographic adaptation of Jacques Lacan's (1977) inter-and intra-subjectively constituted schema R that we will refer to as schema QD." A de-oedipalized subject who is not based on lack can be viewed through lenses of other motivational drives, such as "will to power" (meaning empowerment rather than tyranny), becoming and "affirmation," joyful passions, élan vital, and ever-evolving "creative evolution." In discussing quantum consciousness, Milovanovic includes brief summaries of two perspectives: Penrose and Hameroff's Objective Orchestrated Reduction theory, and Stapp's collapse of the wave function by an abstract ego that asks nature questions. While appreciating both of these approaches as providing insights into quantum consciousness, Milovanovic argues for addition of holography with an associated social model integrating inter-and intra-subjective components of agency. As Milovanovic points out, "We have shown that the speaking subject, 'I,' is a result of a complex process of phase conjugation and wave collapses," to establish the 'point of subjectification' from which a speaking subject is shaped. No longer can we neglect the matter of agency, when Milovanovic makes such a clear case for recognizing dynamic relationships that establish a network of influence. Milovanovic builds on pioneering work of Raymond Bradley, Stephen Robbins, and Alexander Wendt to establish his schema QD, "that when instantiated produces an emitting signature wave that interacts with the 'out there' in constituting it where it is, 'out there,'" with the idea that consciousness is not of something, but is in something. Thanks to recent breakthroughs in fields of quantum cognition science, it is clearly a matter of time before the legal justice system as a whole will be required to recognize that human cognition and decision-making function in accordance with such quantum principles as contextuality and entanglement, rather than according to classical logic. Milovanovic elucidates a need for inclusion of quantum and holographic views of agency at this time when law "finds itself confined to a restrictive notion of agency, the abstract juridic subject or normalized 'reasonable man in law,' with an occasional node to internal or external forces such as in the case of the insanity defense, duress, entrapment defense, 'station interrogations,' and such formulations as the 'product rule' and Miranda warning. Notwithstanding, of course, is how excusability is correlated with hierarchical location, whereby the scope of allowable conditions for justice rendering widen as we go upward in the class structure, and hence, more excusability." One of my favorite chapters is "Transformative Justice," which calls for nothing short of a reinvention of the criminal justice system. Transformative justice is founded in accordance with a holistic approach composed of policies and programs prioritized to include interactions with all levels of society, from the macro to the micro. Within such a system of bounded and overlapping assemblages, we find that disruption in the process of habitual reality construction is the key to engaging a kind of 'permanent revolution' (as Henri Bergson describes in "Matter and Memory"), in which the justice system recognizes becoming and the concept of "thou" rather than "it" in other-ness. And within such a developing 'permanent revolution,' Milovanovic points out that systematic sustainability and resilience can be attained by pursuing a central strategy of Holland's "slow-motion general strike" of walking away from central state powers while simultaneously walking to a better alternative. Deleuze and Guattari propose such non-violent transformative action as, "Lodge yourself on a stratum, experiment with the opportunities it offers, find an advantageous place on it, find potential movements of deterritorialization, experience them, produce flow conjunctions here and there, try out continuums of intensity segment by segment, have a small plot of land at all times." Such gradual disengagement with dominant, hierarchically organized molar assemblages in favor of emerging self-organizing affirmative nomadological systems encourage horizontal, participating, self-organizing, experimental and open forms of organization. 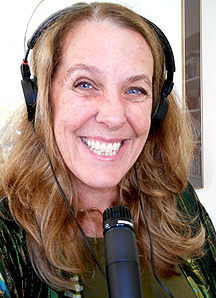 Transformative justice includes concepts of redemption (rather than condemnation) narratives and scripts, with trauma therapy including a shift toward quantum and holographic reprocessing models, in order that events are recoded and deeply reinterpreted in such a way that recurring similar patterns of events no longer occur. Transformative justice includes reconstructing closed communities to discontinue exclusionary practices, physically and symbolically. Dispute settlement can be conducted by facilitators who are recognized and honored as being active pattern "interrupters" along similar lines to the way indigenous societies have brought about reconciliation between diametrically opposed factions. Quantum Holographic Criminology is a break-through book that should be required reading for anyone seriously interested in: social justice, quantum consciousness, criminology, law, social reform, or politics.